Keystone recently named Green Bay Insurance Center of Green Bay to its growing list of partners in the state of Wisconsin. 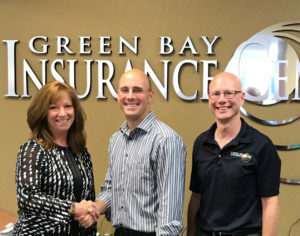 Elizabeth Schenk, VP of Sales & Geographic Expansion (left) with Tony Schiegg, President (center) and Kevin Schiegg (right) of Green Bay Insurance Center. 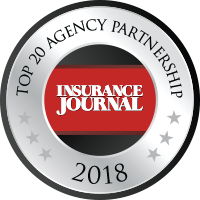 About Green Bay Insurance – Green Bay Insurance Center began in 1968 and employs a staff of 25, serving all lines of insurance to the people of northeastern Wisconsin with the same business principals as their founders. President Tony Schiegg is a longtime volunteer with CASA, a local organization that advocates on behalf of abused and neglected children. For more, visit www.gbic.com.